Miamai has revisited the La Rouge heels bathing them in sophistication and romance. 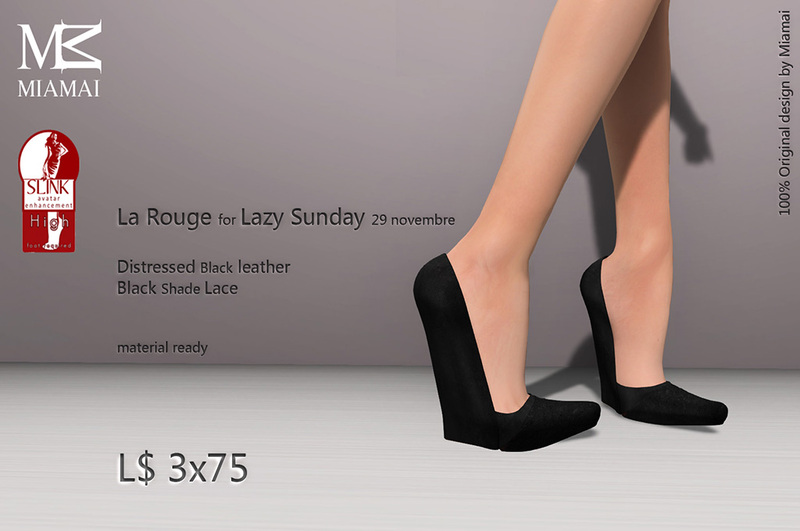 The La Rouge for Lazy Sunday are crafted with stunning distressed leather wrapped around a very slender wedge heel accented by a pointed toe encased in delicate lace. The La Rouge heels are graceful and elegant in both shape and texture transcending easily from casual, work, and to evening attire. 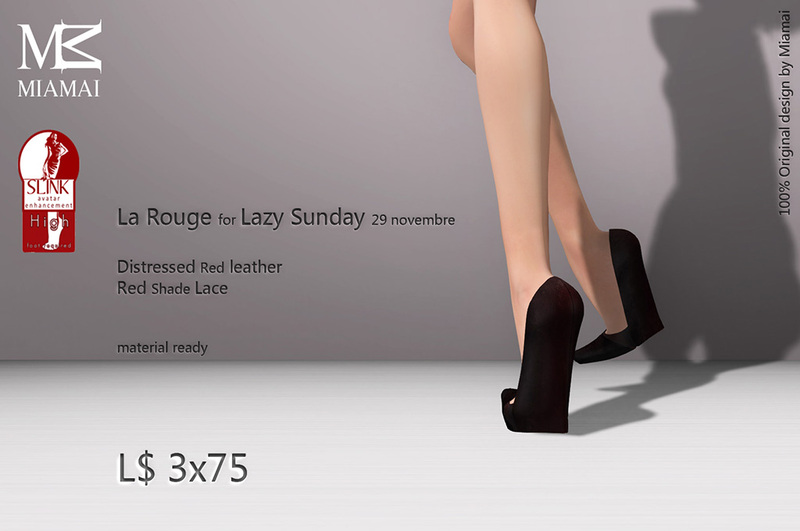 The La Rouge release for Lazy Sunday are only discounted from 12AM until 11:59PM Sunday the 29th of November! 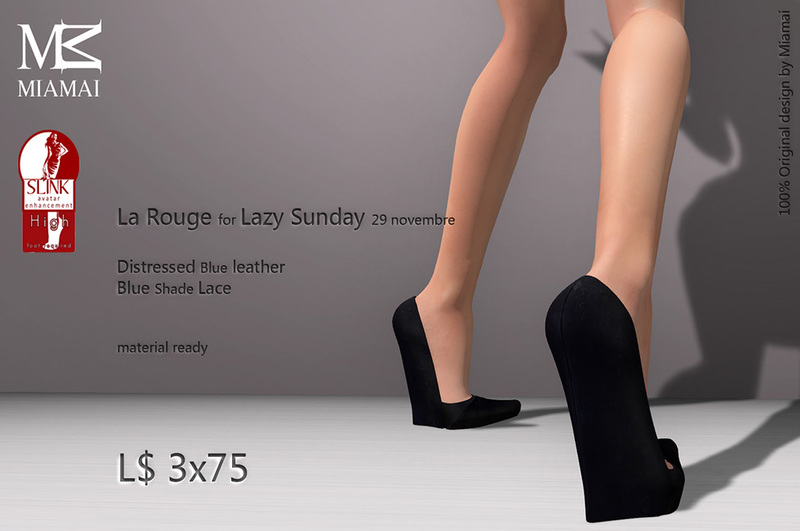 The La Rouge release for Lazy Sunday are copy, no modify, no transfer, 100% original Miamai mesh for Slink High Feet, only available at 75L for all 3 pairs for 24 hours, and only at the Miamai Main Store!